301. Skidmore, Owings & Merrill - Albert Bush-Brown. SOM. Skidmore, Owings & Merrill - Architektur und Städtebau - 1973 - 1983. Text In English and German. Van der Sluis. Stalen meubelen. Square octavo, 52 pages, illustrated throughout. Illustrated wrappers. - First edition of this nicely produced catalgue of steel furniture produced by van der Sluis. 303. Smithson, Alison e Peter. Struttura urbana. Presentazione of the Italian edition by Pierluigi Giordani. Squarish octavo, 98 pages, illustrated with groundplans, drawings and photographs. Illustrated wrappers. Wrappers lightly soiled. - First Italian edition. The English first was published in 1967 by Studio Vista. Former owners stamp and signature on title page. 304. Smithson, Alison e Peter. Die heroische periode der modernen Architektur. Tübingen: Verlag Ernst Wasmuth, 1981. Tall quarto, 80 pages, numerous illustrations. Illustrated wrappers. Bauten Projekte III. Mit einem Vorwort von Prof.F.H. Sobotka. Oblong quarto, 193 pages, 220 illustrations of which 19 in color. Yellow cloth. Illustrated wrappers. Fine. 306. Sottsass Ettore jr. - Marco Zanini. Vetri / Glass. Ettore Sottsass - Marco Zanini 1986. Text in Italian and Englisch. 28 pages with full color plates. Illustrated wrappers. Near fine. Design by Christoph Radl, Anna Wagner. - Third printing. 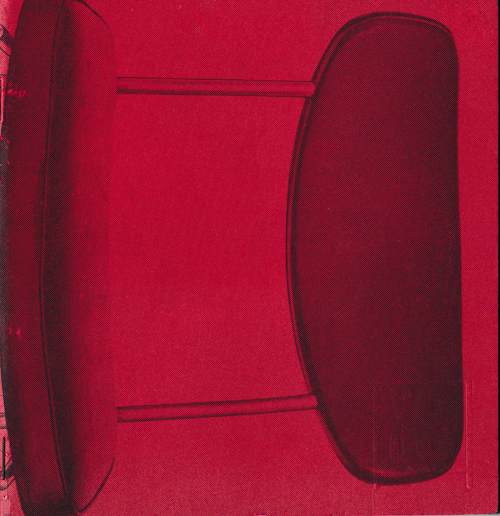 Catalogue published on the occasion of the exhibition organized by Barbara Radice, showing 34 glass pieces by Sottsass and 14 by Zanini. Sottsass Associati. Translated from the Englisch by Nora von Muhlendahl-Krehl. Quarto, 263 pages, illustrated throughout. Illustrated paper over boards. Illustrated wrappers.Smaal chips missing to spine otherwise fine. - First German edition. Contributions by Ettore Sottsass, Herbert Muschamp, Jean Pogozzo, Barbara Radice, Philippe Thomé, Doug Tompkins, Luciano Torri, Marco Zanini. 308. (Sottsass, Ettore) Radice, Barbara. Ettore Sottsass: Leben Und Werk. Quarto, 259 pages, illustrated throughout in color and in black and white. Black cloth with printed title on spine. Original illustrated wrappers. Very fine. 309. Kessel, Ellen van - Marga Kuperus. Margaret Staal-Kropholler, 1891-1966. Architect. Text in Dutch. Quarto, 96 pages, 99 illustrations, being reproduced photographs, drawings ground plans etc. Red cloth. Illustrated wrappers. James Stirling + Michael Wilford. Architectural Monographs No 32. London/ Berlin: Academy Editions / Ernst & Sohn, 1993. Quarto, 144 pages, profusely illustrated (many in color). Stiff illustrated wrappers. 311. (Stirling, James) Wilford, Michael & Muirhead, Thomas. James Stirling, Michael Wilford and Associates . Buildings and Projects 1975-1992. Introduction by Robert Maxwell. Ostfildern: Hatje Cantz Verlag, 1994. 312. (Takamatsu) - Guillot, Xavier. Shin Takamatsu, projets d'Architectures (1981/1989). Paris: Electa Moniteur, 1982. - Architecture - Monographies. Small squarish quarto, 159 pages, illustrated throughout in black and white and in color. Stiff illustrated wrappers. - First edition. Text in French and in Englisch. The Architectural (sic) of Shin Takamatsu. Text in Japanese. Quarto, 240 pages, illustrated in black and white. Original stiff wrappers + equal dust wrappers. Very fine. - First edition. With short statement by the architect in Englisch. Kenzo Tange. Text in German and French. Studiopaperback. Zürich: Verlag für Architektur Artemis, 1978. Paperback, 240 pages, profusely illustrated. Illustrated wrappers. Die gläserne Kette. Visionäre Architekturen aus dem Kreis um Bruno Taut 1919-1920. Quarto, 141 pages, 42 pates in black and white. Illustrated wrappers. Wrappers lightly soiled. - First edition. Catalogue of an exhibtion with texts by Max Taut and O.M.Ungers. Drawings by Bruno Taut, Max Taut, Hans and Wassily Luckhardt, Hans Scharoun, Wenzel August Hablik, Carl Krayl, Hermann Finsterlin, Paul Goesch and Wilhelm Bruckmann. Octavo, 224 pages, illustrated throughout. - Reprint from the 1920 - 22 edition. 317. (Taut, Bruno) Helge Pitz - Winfried Brenne. Die Bauwerke und Kunstdenkmäler von Berlin. Bezirk Zehlendorf. Siedlung Onkel Tom / Einfamilienreihenhäuser 1929. Architekt: Bruno Taut. Text in German, italian and Englisch. Italian introduction by Paolo Porthogesi. German by Julius Posener. Berlin/ Roma: Gebr. Mann Verlag / Il Punto editrice, 1980. Large octavo, 255 pages, illustrated throughout. Decorated red cloth. Illustrated wrappers. Near fine. 318. (Taut, Bruno) Whyte, Iain Boyd. Bruno Taut. Baumeister einer neuen Welt. Architektur und Aktivismus 1914 - 1920. Octavo, 223 pages, 113 illustrations. Illustrated wrappers. Some yellowing towards top of wrappers, otherwise a fine copy. 319. (Taut, Bruno) Zöller-Stock, Bettina. Bruno Taut. Die Innenraumentwürfe des Berliner Architekten. Stuttgart: Deutsche verlags Anstalt, 1993. Quarto, 176 pages, numerous illustrations, some of which in color. Blue paper over boards. Illustrated wrappers. On original publisher's card board slip case. Max Taut. 1884 - 1967. Zeichnungen - Bauten. Berlin: Akademie der Künste, 1984. Octavo, 138 pages, numerous illustrations in b+w and in color. Illustrated wrappers. - First edition of this catalogue published on the occasion of an exhibition held in the Akademie der Künste from june 24 until august 5 1984. Georges Teyssot. Paessagio d'interni / Interior landscapes. 8 Quaderni di Lotus. Lotus Documents. Text in Italian and Englisch. Square quarto, 127 pages, numerous illustrations in black and white and in color. Illustrated wrappers. Paul Thiersch - Leben und Werk. Architektur - Burg Giebichenstein - Bühnenbilder. Berlin: Gebrüder Mann Verlag, 1970. Quarto, 230 pages, 191 illustrations, most in black and white but also some color plates. White cloth Illustrated wrappers. Repairs to top of spine and bottom of rear wrapper, otherwise fine. - First edition. Texts by Rudolf Fahrner + Stefan + Urban Thiersch + Gemma Wolters Thiersch. Destruktion zur Säule. Nach einem projekt von Adolf Loos. Berlin: Verlag der Beeken, 1981. Narrow octavo, 50 ages, 8 plates, Illustrated wrappers. Wrappers lightly soiled. Transparent 1974. 7-8. Manuskripte fur architektur theorie kritik polemik umraum. Quarto, 65 pages, numerous illustrations. Illustrated wrappers with printed vellum front cover. - First edition of this issue with attention for a children' s “drawing competition“ organized by the “Zentralvereinigung für Architekten“ . The theme of the competition was “ Mein Raum - Mein Haus - meine Stadt“. This copy with a loosely laid in original double page colored drawing made by a 14 year old girl. White City. International Style Architecture in Israel. A portrait of an era. Tel Aviv: Tel Aviv Tel Aviv Museum 1984. Square quarto, 72 pages, 237 illustrations, being black and white photographs + ground plans. Stiff illustrated wrappers. Turner, Judith, Marc Scheps (foreword). White City: International Style Architecture in Israel. Tel Aviv: Tel Aviv Museum 1984. Square quarto, 88 pages, 64 plates in black and white. Stiff illustrated wrappers. - First editions. Both published on the occasion of an exhibition held in the Tel Aviv Museum from may 22 - august 1984 and from October 12, 1984 - February 15, 1985 in the Jewish Museum in New York. Summary of the first volume: Foreword by Marc Scheps; Introduction; Characteristics of the International Style in Israel; Sources of Inspiration (Le Corbusier, The Bauhaus, Erich Mendelsohn); Local Particularities; Building Types; conclusion: The Modern style - Local, regional of International?. PhotographsAlfred Bernheim, Leonardo Bezzola, Central Zionist Archive, Fernbach and Fuchs, Isaac Kalter Keren Hayesod, Keren Or, Michael Levin and Z. Loewenheim. Summary volume two: Foreword Marc Scheps; Acknowledgments; Commentary Judith Turner. Photographs: Tel Aviv, Jerusalem, Haifa, Rehovot. + a short biography Judith Turner. Judith Turner: Tokio Marine Plaza Building, Osaka. Large square quarto, 43 pages, 32 photographic plates in black and white + floorplan axionometric drawing and perspective drawings of the building. Typographic wrappers. White wrappers slightly soiled, inside fine. Large square quarto, un paginated, 26 photographic plates in black and white + ground -, site plans and section drawings. White wrappers slightly soiled. Inside fine. - First edition. With text Invented Traditions/joined vision by Leah Levy. Twentieth Century Engineering. Introduction by Arthur Drexler. Square quarto, un paginated, 139 illustrations. Illustrated wrappers. Tiny abrasion to top and bottom of spine otherwise fine. - First edition. Published on the occasion of an exhibition held from june 30 - september 13, 1964. Sieben Variationen des Raumes über die Sieben Leuchter der Baukunst von John Ruskin. Tall octavo, un paginated (more then 120 pages) illustrated throughout. Illustrated wrappers. - First edition. "Diese Publikation gibt nicht nur einen überblick über das Werk und die Arbeitsweise von Oswald M.Ungers, sie vermittelt ebenso Einsicht in die Denkweise eines Architekten, der mit spiritueller Figuration zu architektonischer Formfindung gelangt. Dieses dialektische Vorgehen ist die Grundlage aller Arbeiten, die hier als Hommage an John Ruskins >Die Sieben Leuchter der Baukunst< in sieben Kapiteln gezeigt werden." (note from the publisher). Stuttgart : Gerd Hatje, 1994. Quarto, 73 pages, illustrated throughout. Printed paper over boards. - First edition. Published on the occasion of the exhibition "O. M. Ungers - Architekt" held in the Hamburger Kunsthalle from 12.5.1994 until 26.6.1994. Ostfildern: Hatje Cantz Verlag. 1999. Square quarto, 41 pages, 34 photographic plates. Printed paper over boards. - First edition. Published on the occasion of an exhibition held in the Forum Kultur und Wissenschaft in Dusseldorf may - july 1999. Le Dessin et l'Architecte. Excursion dans les collections de l'Academie d'architecture. Paris: Les éditions du pavilion de l'arsenal / Les éditions du demi-cercle, 1992. Oblong quarto, 161 pages, numerous illustrations in black and white and in color. Illustrated wrappers. - First edition. Summary: Prefaces by Bernard Rocher + Pierre Sirvin; Historique de l'Academie d'Architecture + Cent cinquante annees d'existence : un arret sur images by Pierre Devinoy; Les collections de dessins d'architecture, d'art urbain et d'urbanisme by Paul Dufournet . In the chapter L'oeil Et La Main texts by Pieter Uyttenhove, Jean-Pierre Epron, Philippe Boudon, Antoine Picon, Bruno Vayssiere and Patrick Celeste. In the chapter: Excursion dans les Collections de L'Academie d'Architecture comments by the illustrations by Philippe Gazeau + Antoine Stineo, Tadao Ando, Michel + Cantal-Dupart, Kisho Kurokawa + Fernando Montes, Sir Norman Foster + Jacques Ripault, Michel Bourdeau + Jean-Paul Jungmann, Jean Aubert + Edith Girard, Gilles Bouchez + Patrick Chavannes; Frederic Borel + Borja Huidobro; Antoine Grumbach + Rodo Tisnado, Francois Chaslin + Franck Hamraoutene, Fabrice Dusapin + Francois Leclercq, Dominique Perrault + Francois Seigneur . Furthermore: Index biographique - Bibliographie relative aux collections de l'Academie d'Architecture + Bibliographie generale. Vaisseau De Pierres 1. Roma Rome Architectures. Paris: Seyssel: editions du Camp vallon, 1986. Folio,144 pages, illustrated throughout in black and white and color. Illustrated black wrappers. Lightly used but still very good. - First edition of this fancy architectural magazine, designed by Renate Foxe (maquette) and printed in photogravure. Wohnen in einer neuen Zeit. Die Villen und Landhausprojekte von Mies van der Rohe. Texts by Gerhard Stock and Arthur Drexler. Volume I: Textband. Volume II: Tafelband und Katalog der Zeichnungen. Essen: Verlag Richard Bacht GmbH, 1981. Volume I.
Quarto, 135 pages, 66 illustrations. Illustrated wrappers. Volume 2. Quarto, un paginated, illustrated throughout. Illustrated wrappers. The fragile white wrappers very slightly soiled. A fine set. - First edition. Volume I with lists the 21 houses build by van der Rohe, illustrated in volume II with groundplans, sketches, drawings and photographs. Published on the occasion of an exhibition held in the Kaiser Wilhelm Museum, Krefeld from may 17 - july 12, 1981. Loosely laid in a 6 page folded and illustrated announcement for the exhibition. Ludwig Mies van der Rohe. Furniture and Furniture Drawings from the Design Collection and the Mies van der Rohe Archive. New York: Museum of Modern Art, 1977. Quarto, 88 pages, 127 illustrations. Silver colored, illustrated wrappers. Fine. Henry van de Velde: Ein europäischer Künstler seiner Zeit. Thick quarto, 465 pages, numerous black and white and color illustrations. Illustrated wrappers. - First edition. Published on the occasion of a travelling exhibition - Hagen, Weimar, Berlin, Gent, Zurich and Nürnberg. 337. Von Moos, Stanislav and Weinberg-Staber M.
Venturi & Rauch. Architektur im Alltag Amerikas. Zurich: Verlag Arthur Niggli, 1979. Oblong octavo, 112 pages, numerous photographic illustrations of which some in color. Printed white wrappers. - First edition. Published on the occasion held in the Kunstgewerbemuseum Zurich. Venturi, Rauch & Scott Brown. München: Schirmer / Mosel, 1987. Square quarto, 336 pages, 337 illustrations among which 122 in color. Printed turquoise cloth. Printed turquoise cloth. Illustrated wrappers. Fine copy. The Architecture of Robert Venturi. Albuquerque: University of New Mexico Press, 1989. Quarto, xiii + 115 pages, 165 illustrations in black and white and color. Illustrated wrappers. Fine copy. 340. (Viollet-Le-Duc Eugène) Boudon, Philippe - Hubert Damisch - Philippe Deshayes. Analyse du dictionnaire raisonné de l'architecture Française du XIe au XVIe siècle par E. Viollet-le-Duc architecte. Large octavo, 268 pages, some text illustrations and 6 illustrated pages. Printed wrappers. Voyage d'Italie d'Eugene Viollet-le-Duc 1836-1837. Paris : Ecole nationale superieure des beaux arts, 1980. Square quarto, 251 pages, 257 illustrations, many of which in color. Illustrated wrappers. Very good. - First edition. Publlished on the occasion of an exhibition held at the 100th anniversary of the death of Viollet-le-Duc (1814-1879). Paris: Editions de la Réunion des musées nationaux, 1980. Thick square quarto, 415 pages, numerous illustrations. Purple printed cloth. illustrated wrappers. One inch tear in bottom rear wrapper, otherwise very good. - First edition of this large retrospective exhibition on the work of Violet Le Duc, held in the Grand Palais. Viollet-le-Duc e il restauro degli edifici in Francia. Milano: Gruppo Editoriale Electa, 1981. Square quarto, 117 pages, 126 illustrations among which 6 in color. Stiff illustrated wrappers. Very fine. - First edition of this catalogue published on the occasion held in the Mole Antonelliana in Torino, from july - october 1981. Paris: Centre Georges Pompidou / Centre de Création Industrielle 1975. Squarisch quarto, 192 pages, illustrated throughout with photographs and drawings. Illustrated wrappers. Fine. - First edition. Published on the occasion of an exhibition held from december 10 1975 - march 1976 at the Musée des Arts Décoratifs, Paris. Wilhelm Wagenfeld. 50 Jahre Mitarbeit in Fabriken. Text in German. Köln: Kunstgewerbemuseum der Stadt, 1973/1974. Quarto, 134 pages printed on different colored stock, illustrated throughout with schmatic drawings and photographic reproductions. Illustrated wrappers. Minor piece missing to bottom of spine,otherwise fine. - First edition of this catalogue for an exhibitons that travelled in 1973 and 1974 from Clgne to Darmstadrt Hannover and Munchen. Errata slip inserted. Otto Wagner. Das Werk des Wiener Architekten 1841-1918. Vorwort Franz Gluck, Text by Otto Antonia Graf. Small square quarto, 22 + 72 pages, numerous illustrations. Blue illustrated wrappers. Former owners name on top fo front wrapper and slight discoloration to spine, otherwise fine. - First edition. Catalogue for exhibition held from november 22 1963 - february 196 in the Hessische Landesmuseum. 4. 347. Geretsegger, Heinz - Max Peintner. Otto Wagner 1841 - 1918. Unbegrenzte Groszstadt - Beginn der modernen Architektur. Unter Mitarbeit von Walter Pichler. Thick quarto, 283 pages, 306 illustrations among which 6 color plates + a Vienna cityplan.Illustrated wrappers. Fine. 348. Wagner, Otto - Pozzetto, Marco. La Scuola di Wagner 1894-1912. Idee - Premi - Concorsi. Trieste: Comune di Trieste, 1979. Small quarto, 271 pages, 285 black & white reproductions of architectural drawings. Blue cloth. Illustrated wrappers. Wrappers chipped and lightly used. - First Italian edition of this monograph published on the occasion of an exhibition organized by the 'Istituto di Architettura e Urbanistica del l'Universita di Trieste'. 349. Wagner, Otto - Zednicek, Walter. Otto Wagner. Vierzig Photographien von Zednicek. Mit einem Essay von Sterk. Squarish folio, 95 pages, 40 photographic plates. White printed cloth. - First edition. One of 1200 numbered copies. With detailed photographs of the Miethaus Linke Wienzeile; Zweite Villa Wagner; Brücke über die Wienzeile; Postsparkassemamt; Hofpavillion bei schloß Schönbrun; and more. 350. Wagner, Otto - Graf, Otto Antonia. Otto Wagner. 1. Das Werk des Architekten 1860-1902. + Otto Wagner. 2. Das Werk des Architekten 1903-1918. Both thick quarto's , 422 pages + 425- 811 pages, numerous illustrations. Red printed cloth. Illustrated wrappers. Very fine. 351. Elisabeth Koller-Glück, Gerhard Lindner, Elisabeth Schawerda, Margaretha Vyrol-Tschapka. Otto Wagner. Die Villa Hahn in Baden. Mit einem Vorwort von Otto Antonia Graf und einer Einleitung von Liesbeth Waechter-Böhm. Small quarto, 70 pages, illustrated throughout with drawings and photographs. Illustrated wrappers. Modern Architecture: A Guidebook for his Students to this Field of Art. Introduction and translation by Harry Francis Mallgrave. Santa Monica: The Getty Center Publications Program, 1988. Small quarto, 185 pages, Green decorated wrappers. - First Englisch language edition. Octavo, 208 pages, illustrated throughout. Illustrated wrappers. - Second edition. Translated from the Italian by Robert Steiger. Martin Wagner 1885-1957. Wohnungsbau und Weltstadt Planung. Die Rationalisierung des Glücks. Berlin: Akademie der Künste, 1985. Squarish quarto, 198 pages, numerous illustrations. Stiff illustrated wrappers. - First edition of this catalogue published on the occasion of the exhibition held in the Akademie der Künste from nov 1985 - january 1986. With texts by Martin Wagner, Ludovica Scarpa, Jörn Janssen, Jürgen von Reuβ, Martin Kuren and Michael Hellgardt. With biography and bibliography and list of exhibited works. H.A.M.B.U.R.G. Experimentelle Architektur. Arbeiten 1978 - 1982. Text in German and English. Wien: Schriftenreihe des Museum moderner Kunst,Nr. 20, 1982. Square quarto, 94 pages, illustrated throughout. Illustrated wrappers. - First edition. Introduction by Dieter Ronte, text bij Dieter Schrage and in a list of 100 numbers the Theorie der Experimentelle architektur“ by Warlamis. 356. Welzenbacher , Lois - Friedrich Achleitner - Ottokar Uhl. Square quarto, 164 pages, 305 illustrations - sketches, groundplans, photographs. White printed cloth. Illustrated wrappers. Very minor tears and minor scuffing towards edges of wrappers, still a very good - fine copy of this rare title. 357. Gmeiner, Astrid - Gottfried Pirhofer. Der österreichische Werkbund. Alternative zur klassischen Moderne in Architektur, Raum- und Produktgestaltung. Salzburg / Wien: Residenz verlag, 1985. Quarto, 258 pages, 281 illustrations in black and white and in color. Red blind stamped cloth. Illustrated wrappers. very fine. - First edition. Contributions by: Otto Kapfinger zur Wiener Werkbundsiedlung, Vladimir Slapeta zum Tschechischen Werkbund und Akos Moravanszky zum Ungarischen Werkbund. Aufbruch zum neuen Wohnen. Deutsche Werkstätten und WK-Verband (1898-1970). Ihr Beitrag zur Kultur unseres Jahrhunderts. Hrsg. vom WK-Institut für Wohnkultur unter Förderung der Erwin-Hoffmann-Stiftung. Oblong quarto, 432 pages, numerous illustrations in black and white and in color. Beige printed cloth. Illustrated wrappers. Very fine. - First edition. With the following chapters: I. Die Deutschen Werkstätten - II. Der WK-Verband - III. Bildteil - IV. Verzeichnisse und Bibliographien. Die Wiener Werkstätte. Modernes Kunsthandwerk von 1903 - 1932. Wien: österreichisches Museum für Angewandte Kunst, 1967. Small square quarto, 100 pages, 80 plates in black and white. Illustrated wrappers. - First edition. 'Ausstellungskatalog österreichisches Museum für Angewandte Kunst Wien, 22.5. - 20.8.1967.' loosely laid in one folded flyer anouncing the exhibition + one folded and illustrated flyer with a text by Wilhelm Mrazek promoting the catalgoue and exhibition. Another Chance for Cities. Some approaches to architecture, technology, and town planning: the current program of the New York State Urban Development Corporation. New York: Whitney Museum, 1970. Oblong quarto, 64 pages, numerous illustrations. Illustrated wrappers. - First edition. Catalogue of an exhibition that travelled from the Whitney to the Everson Museum of Art and the Allbright-Knox Art Gallery. New York: Horizon Press, 1953. Small quarto, 326 pages, more then 30 illustrattions. White buckram covered boards with red cloth spine. 362. Grotz, Paul - Walter McQuade and Carlo Scarpa. Wright, Frank Lloyd. Una mostra della sua opera nell'ultimo decennio presentata dagli Stati Uniti d'America alla XII Triennale di Milano 1960. Milano: United States Information Agency / Triennale, 1960. Square octavo, 36 un numbered pages, illustrated throughout with photographs, groundplans and drawings, text printed in red and black. Illustrated wrappers. The Solomon R. Guggenheim Museum. Text by Henry Berg. New York: Solomon R. Guggenheim Foundation, 1975. Quarto, 47 pages, illustrated throughout. Illustrated wrappers. - First edition. Photographs by Liberto Perugi. The plan for restoration and adaptive use of the Frank Lloyd Wright home and studio. Chicago: University of Chicago, 1979. Oblong Folio, 92 pages. Printed wrappers, ring bound. catalogue forty-seven frank loyd wright: ephemera for a living collection. London: Paul Breman Limited, 1980. Narrow octavo, 12 pages. Illustrated wrappers. - First edition. A booksellers catalogue offering for sale 50 FLW ephemera - note cards, post cards, photographs, leaflets. Tanigawa, Masami. Measured Drawing. Frank Lloyd Wright in Japan. N.p. : Graphic Co. Ltd., 1980. Quarto, 116 pages, numerous illustrations some of which in color. Green printed wrappers + original illustrated dust wrappers. 367. (Wright, Frank Lloyd ) Muschamp, Herbert. Man About Town. Frank Lloyd Wright in New York City. Octavo, 214 pages. Blue cloth. Illustrated wrappers. Studies and executed buildings by Frank Lloyd Wright. Foreword by Vincent Scully. New York: Rizzoli International Publications, 1990. - Reprint of the famous Wasmuth edition of 1910. 369. (Zevi, Bruno) Dean, Andrea Oppenheimer. Bruno Zevi on Modern Architecture. Large octavo, 218 pages, illustrated throughout. Illustrted wrappers. Minor cafing to edges. 370. Zietzschmann, Ernst - Gertrud David. Wie wohnen? homes and housing. Mon habitation. Zürich: Verlag fur Architektur Erlenbach, 1949. Quarto, 292 pages, 600 illustrations. Decorated cloth. No dustjacket. Pierre Zoelly. Werkstattbericht - 2; Rapport D'Atelier 2; Workshop Report 2. Text in German, French, and English. Zurich: Eidgenossische Technische Hochschule - ETH. 1978. Square quarto, 127 pages, illustrated throughout. Illustrated wrappers. Minor edgewear. Very good. - First edition of this catalogue. Exhibition june 16 - jul 16. Václav Zralý. Introduction by Jan Sekera. Praha: Galerie Benedikta Rejta Louny 1982. Small square quarto, 29 pages, illustrated throughout. White wrappers and Illustrated dust wrappers. - First edition. Exhibition held from 26.9. - 31.10.1982. Symbiotische Architektur: Artikulierung einer Architekturthese und deren Gestaltungsmethodik. Narrow quarto, 109 pages, numerous illustrations of which 8 in color. Illustrated wrappers. A wonderful production published on the occasion of an exhibition held in the Architekturgalerie in Munchen, 1988.